Just received notice today that I've been honored with a jurors award at the Women Artist of the West National Exhibit in Estes Park, Colorado! Very good news! 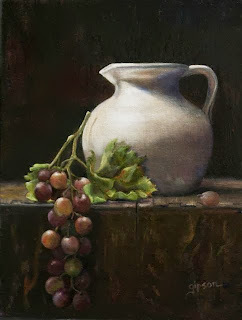 The piece that won the award was "Water to Wine". Very excited to receive this recognition. Thank you WAOW and special thanks to the judge of the event Karen Vance!